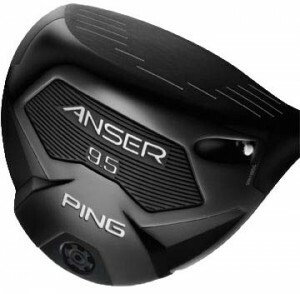 Unlike other major club manufacturers Ping Golf had chosen to not market an adjustable driver, that is until now. At the True South Classic played opposite the British Open July 19-22, Joey Snyder III showed up with the Ping Anser driver. It will be available in four lofts of 8.5°, 9.5°, 10.5° and 12° with each having the capability of being adjusted plus or minus a half of degree. The 460cc clubhead has a matte black finish. No word yet about pricing, but you can expect to see them for sale by the end of August.